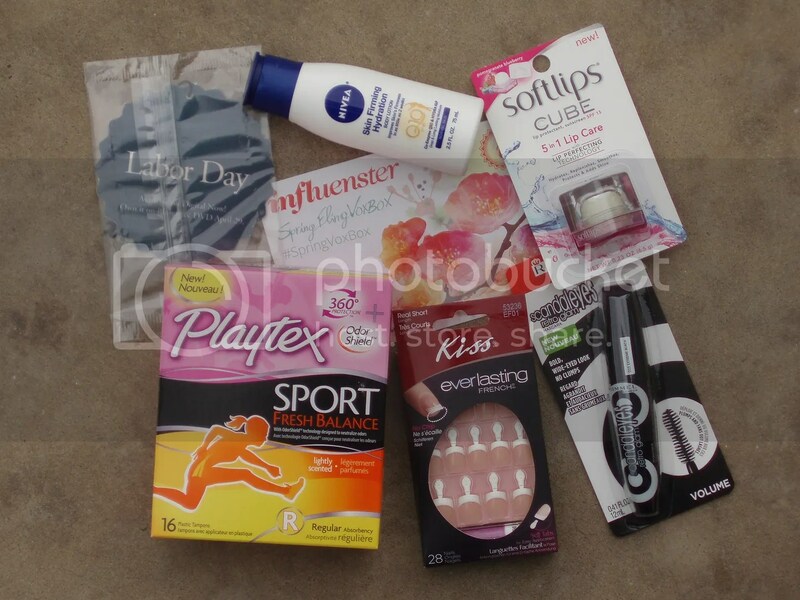 Okay guys, today’s post is on another item from the Influenster Spring Fling VoxBox 2014 that I got. I’m not a huge fan of fake glue on nails as I prefer the polish strips over them. 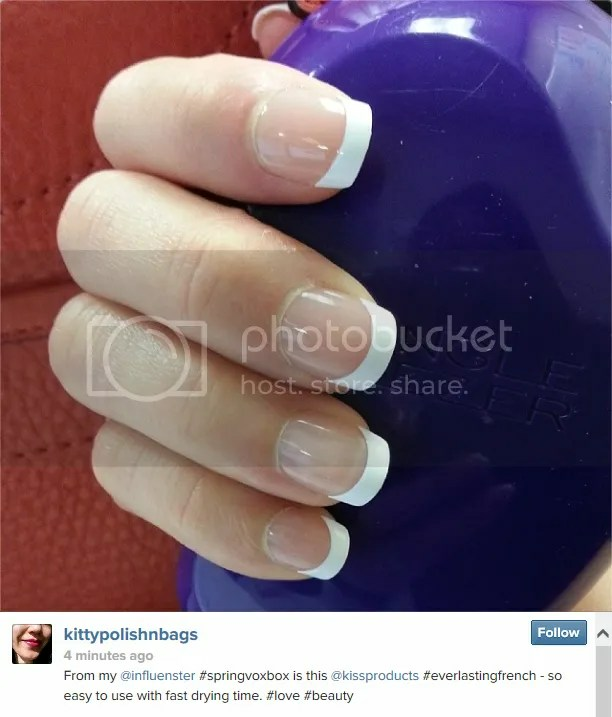 Part of it is the bulkiness, but if your nails are on the short end this is really one way to add length to it without actually going to the salon. 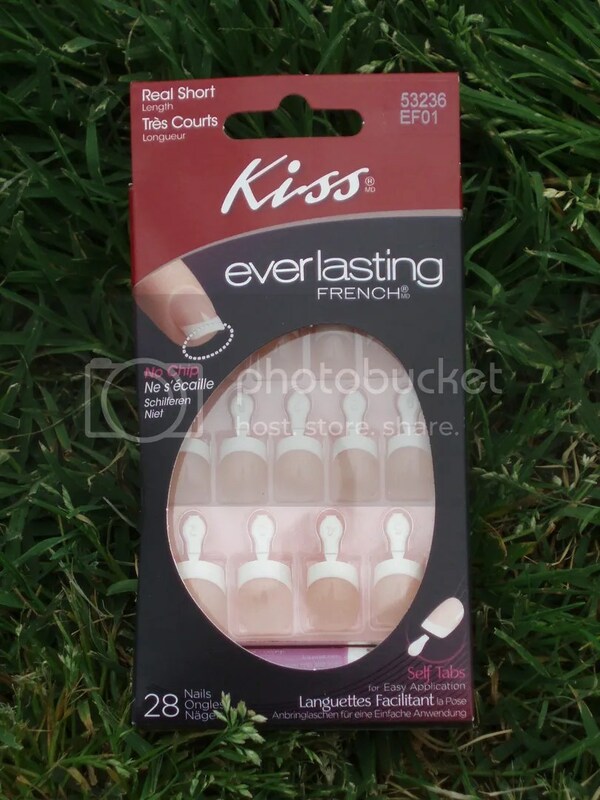 Here’s Kiss Everlasting French Nails. Verdict? This product comes in a neatly packaged box that is both appealing and classy. It comes with 28 nail pieces, a mini file and a manicure stick. The version I got is labeled Real Short for the length. There is no room for me to really trim it down to a certain desired length so I skipped that step. It comes with an instructional insert that is easy to follow. The instructions are also clearly cited on the back of the box. I didn’t even bother reading the instructions since I’ve used similar products (from this brand too!) before. I used the manicure stick (or what is commonly called the orange stick) that came with the kit and pushed my cuticles back. I then measured out which nail pieces would fit on all 10 fingers of mine. Since my left and right hand nails are almost exactly the same in size, I just measured the nails out for one hand and looked at the tab of the nails. The tabs are numbered and I just look for the corresponding number in another piece for my other hand. I broke off the tip of the glue included and started application. I applied glue to the nail up to close to where my natural nail will end (my natural nails are shorter than the glue on nails from the kit). I then gently pressed down the nail onto my actual nail with the tip sliding under the cuticle when applicable. I held the nail down for 30 seconds for good measure before breaking the tab at the french tip off by bending it down and then up until it snaps. I filed the part where the tab has been broken off since it’s rough to the touch and I’m done. One important thing to note is to not be stingy with the glue during application. I was trying to be cautious to not put too much glue that the first few nails ended up with an air pocket kind of look that I can see through the glue on nails. All the other nails where I’ve put enough or too much glue doesn’t have this air pocket or air bubble look. It’s not noticeable at all, but I wish it wasn’t there and that I used enough glue in the first place. I’ve posted on my Instagram account here what it looks like immediately after application. I did NOT like the edges so I used the mini file that came with the kit to smoothen it out to a rounder edge. If this lasts just as long as the previous kit I’ve used from them here, it’s good to go for more than a week. This retails for $6.49 and is available at mass retailers and drugstores nationwide as well as on their online store. For a full list of online and in-store retailers, click here. I’ve already started using the Softlips Cube for almost a week now and I’m eager to share with you guys my thoughts on the Rimmel mascara. As you can expect, reviews are coming up shortly! 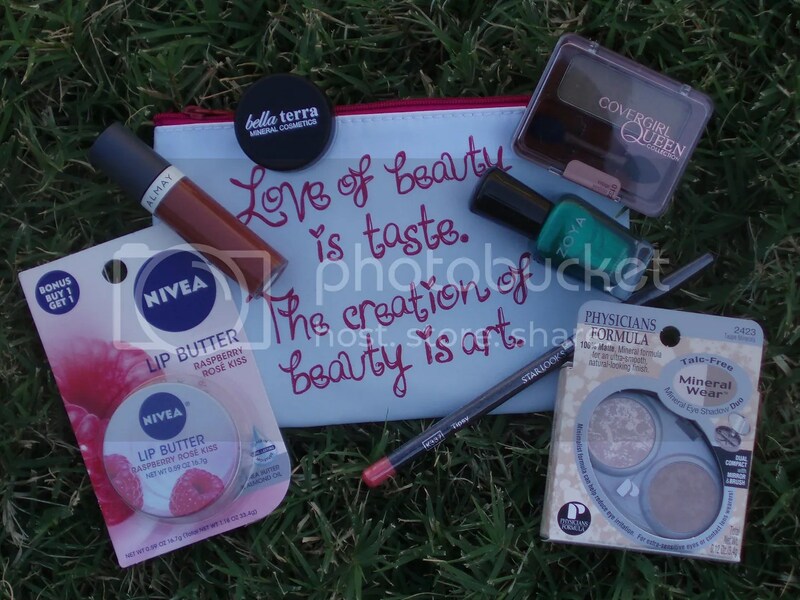 Here’s one of the items I got in my Influenster Holiday VoxBox 2011. 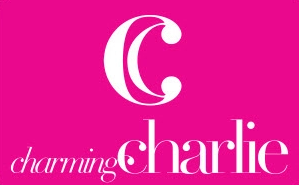 I was definitely intrigued by this product being that most of my blog entries revolve around nail polish and beauty. So how did the imPRESS Press-on Manicure in Working Girl fare? Verdict? It comes in such cute packaging! The box opens to reveal a bottle-shaped plastic snap container that houses 24 nail covers in 12 different sizes. It is very easy to use with complete instructions on the back of the box. It applies literally in minutes. 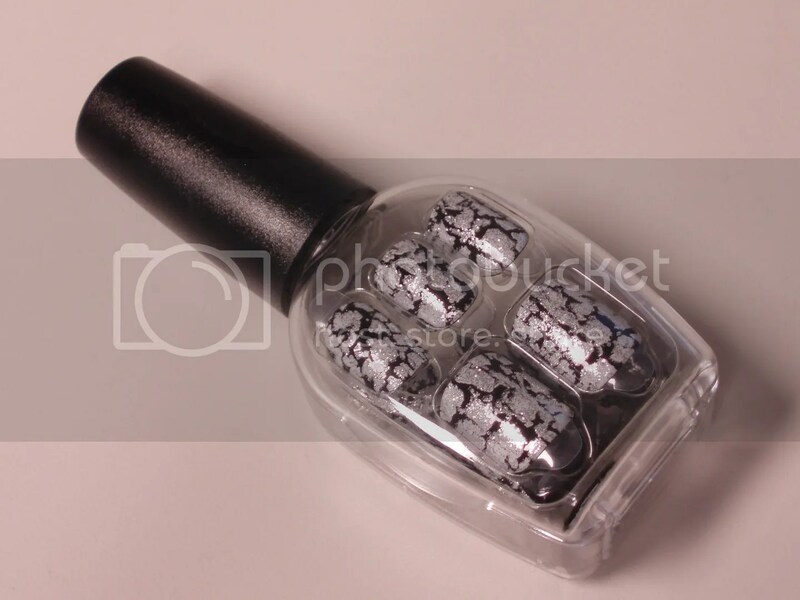 You first figure out the correct nail pieces to use, swipe the enclosed prep pad onto your natural nails and firmly apply the pieces after removing the peel off tab. The press on nails goes on with the tab end facing the cuticle. I haven’t removed them yet, but removal is said to be pretty easy by gently peeling off from sides or apply polish remover around edges and waiting a minute or so to peel off. We’ll see if it removes that well. Your natural nail length has to be shorter than these press ons, so check first to see or else you’ll end up looking like my middle finger in the picture above where my nail is sticking out underneath it. I love, LOVE, L-O-V-E this print called Working Girl. It looks like glittery crackle or shatter over black creme polish. Looking at their offerings, the solids didn’t appeal to me much but the prints are right up my alley! There’s something for everybody with the variety they offer. As long as you follow the instructions carefully, it works great and should last for up to a week or so. imPress Manicure retails for $5.99 for colors and $7.99 for patterns, and is available at CVS, Rite Aid, Duane Reade, KMart, Walgreens, Walmart and more. For a full list of online and in-store retailers, visit imPressManicure.com, where you can download an exclusive coupon and virtually try on all the colors and patterns! I was so excited to have made it in this program for the last box of the year. Eager to try out new things and reviewing them in hopes to help others, this seemed like the perfect program for me to get involved in. I got this in the mail yesterday and couldn’t wait to try them all out. 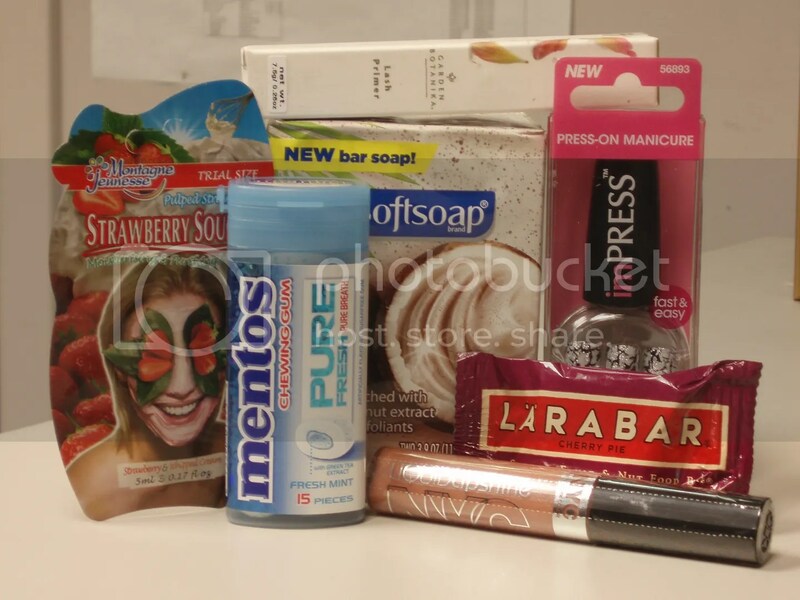 These are the contents of my Influenster Holiday VoxBox 2011. I’m very excited to try these all out. In fact, I’ve already consumed the Larabar and started using the N.Y.C. Color Liquid Lip Shine. I’ll give a more detailed account on how these products fared for me and as a bonus…..also with 2 of my co-worker friends when applicable. Stay tuned!